The total solar eclipse on Mon., Aug. 21, 2017 will be visible along a narrow strip of approximately 70 miles wide, spanning from Oregon to South Carolina. The first industry company where employees can walk outside their office and take in the first total solar eclipse to sweep the U.S. coast-to-coast in 99 years is Slatercom of Salem, Ore. beginning at 9:18 a.m. PDT. It couldn’t be a more fitting enjoyment for the company that specializes in LED tower obstruction lighting systems, some of them lamped in the eclipse’s 14-state corridor where the longest eclipse time is in Carbondale, Ill. for a period of 2 minutes and 40.2 seconds. And equally as apropos is the former first Chairwoman of NATE, Pat Cipov, being able to have Cipov Enterprises be the last industry company able to view the total eclipse at 2:48 p.m. EDT in Sumpter, S.C.
Picture opportunities , especially for tower climbers, will be unlimited as many of them will be at an envious photo perch at a tower location not accessible to the millions of visitors that have already staked out their setting to capture the event. Send in your photos to info@wirelessestimator.com and we’ll publish them. Please provide your name and the location. 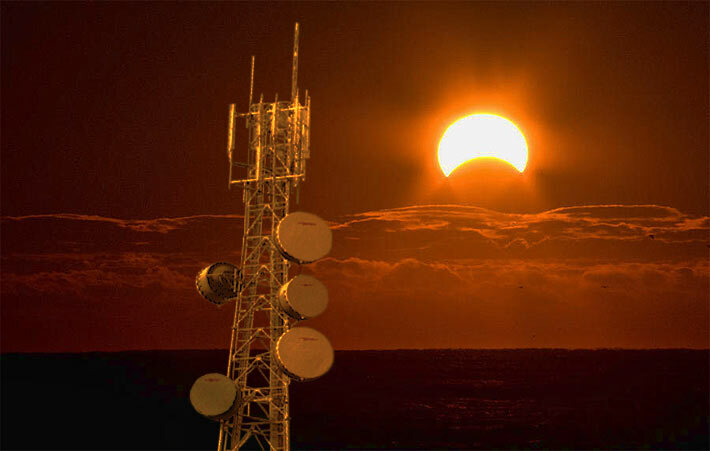 Whereas the internet is rich with wonderful smartphone sunset shots of towers, a picture of a solar eclipse can end up end up being just a glowing orb by just holding the phone up and snapping a picture. It’s not necessary to zoom in, and If you hold eclipse glasses over the phone’s camera lens, that will dim the sun enough and you should be able to see the darkness of the moon as it crosses in front of it. — Focus manually on the sun by touching the smartphone’s screen, then slide your finger up or down to darken or lighten exposure. Additional smartphone photography of the eclipse tips are available from NASA here. There are several cell phone apps that can tell you down to the second when the eclipse will occur at your location based off of the GPS in your phone. This lets you know when to put on your eclipse glasses and when to take them off to prevent eye damage. 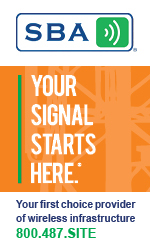 The first industry company in the totality path of the eclipse is Slatercom. The last company that will be able to witness the first coast-to-coast eclipse in 99 years is Cipov Enterprises.